There are plenty of gorgeous places to find waterfront properties in Florida and they all have unmatched views of breathtaking sunsets and sunrises. Anna Maria Island, however, has always stood out. This lovely barrier island is just a slender strip of land off the Gulf of Mexico and has long remained one of Florida’s hidden gems: a paradise veiled by water and situated just out of sight from the region’s many vacationers. Only seven miles long and two miles wide, properties on this floating beach are never far from its crystalline-touched shores. 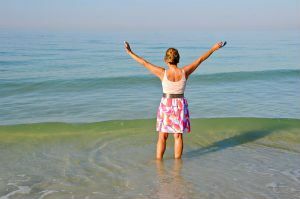 Naturally, over the past year and a half, Anna Maria Island has received stunning praise from a variety of highly-read publications including Condé Nast Traveler and TripAdvisor - a company that has evolved into a gold standard for travel reference. Travelers trust TripAdvisor, and a seal of approval from the esteemed website can give significant exposure to a destination. Here’s a side of Anna Maria Island you may miss as a tourist! Anna Maria Island has fun things going on throughout the seasons. The town of Anna Maria hosts associations for an endless list of hobbies, so that families and residents can get to know one another. There are not many towns where you can make lifelong friends this fast! Anna Maria Island in general is a very neighborly place and residents are always looking for ways to get involved and help out their fellow islanders. Anna Maria Island is one of those places where everybody knows each other and where shops, restaurants, and businesses are full of adoring regulars. This friendly place is actually highly regarded for its excellent food! The freshly-baked pastries of Anna Maria Donuts have received outstanding accolades. The island is also known for its endless world-class seafood options which often include a twist: you’ll find many fusion and gourmet takes on classic dishes. If you frequent Anna Maria Island businesses, you will undoubtedly start to recognize familiar faces and appreciate the local culture as the unique treasure it is! While Anna Maria Island thrives when tourists are visiting, make no mistake: this place is a full-time paradise. Anna Maria residents are proud of their community and its rich, unique history. It’s hard not to fall in love with this idyllic haven and visitors who drop by are often heartbroken at the thought of leaving. What stands out about Anna Maria Island is that you don’t have to – this welcoming community is open all year round! Interested in Anna Maria Island real estate? Get in touch with the experts at Coffey &; Co. today! You can also reach us at 877.308.6311. We'd love to help you find your perfect Anna Maria home.